To properly care for the trees on your property, it is important to develop a plan for achieving your objectives, whether the goal is wood production, wildlife habitat, recreation, or a combination of these. The Delaware Forest Service can help develop a customized management plan for your woodlot that outlines the activities to reach your goals. In addition, staff can conduct a forest inventory (a summary of timber volumes by tree species), supervise reforestation and timber stand improvement projects, and help with timber sales by providing sample timber sale contracts and lists of potential buyers. While our staff cannot perform timber appraisals, we do maintain a list of consultant foresters who can appraise timber. The Delaware Forest Service strives to protect water quality in Delaware through its Erosion and Sediment Program. Our foresters assist loggers and landowners through site visits and educational programs to help ensure forest management activities follow Best Management Practices (BMPs), and thus comply with the Forest Practices Erosion and Sedimentation Law (Title 3, Chapter 10, Subchapter VI). Operators submit a permit prior to commencing forest management activities, and our staff reviews the site during the operation. If you are considering a timber harvest, please contact your local Delaware Forest Service office for a permit. In addition, the Delaware Forest Service administers the Delaware Seed Tree Law (Title 3, Chapter 10, Subchapter V), which was passed due to the long-term decrease in pine and yellow-poplar forests. It requires landowners to reforest all harvested sites, ten acres or more, that contained at least twenty-five percent pine and/or yellow-poplar unless the site will be developed or cleared for agriculture. Information regarding the Seed Tree Law is also included on the timber harvest permit. In addition to enforcing this law, our foresters also help landowners meet its requirements by supervising reforestation activities. 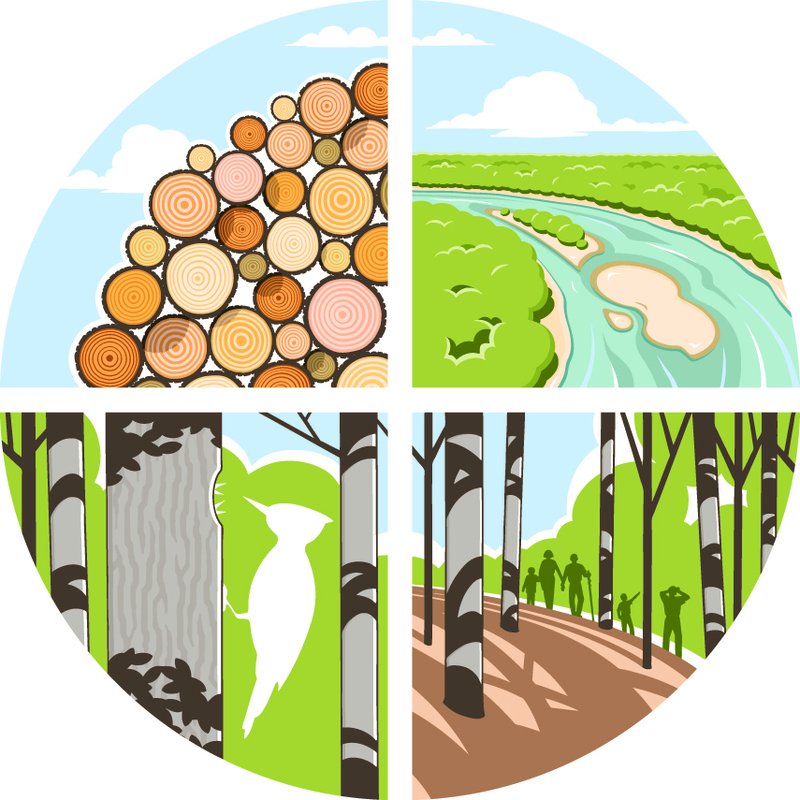 The Forest Stewardship Program brings professional natural resource management expertise to private owners to develop plans for the sustainable management of their forests. The Delaware Forest Service will provide for a trained forester to visit your land and discuss your objectives. Many landowners have several goals: enhancing wildlife or riparian habitat or producing timber. After your objectives are discussed and understood, the Delaware Forest Service forester will prepare your Forest Stewardship Plan. As the landowner, you are expected to make a good-faith effort to follow the plan and its recommendations. There are also cost-share programs available to help you implement specific strategies and practices. This increases the likelihood that private forests will remain productive and healthy, and that the social, economic, and environmental benefits of these lands will be realized. 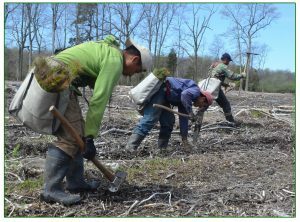 The Delaware Forest Service, in cooperation with the U.S. Department of Agriculture (USDA), offers a limited amount of cost shares to private landowners for such activities as tree planting and timber stand improvement. These cost share programs include the Conservation Reserve Enhancement Program (CREP), Environmental Quality Improvement Program (EQIP), and the State of Delaware Forestry Cost Share Program. Forest Service personnel work with interested landowners and the USDA to ensure the funds are properly spent. For more information, contact your service forester. The Commercial Forest Plantation Act (Chapter 26, “Commercial Forest Plantations”, Title 3) was established to give landowners a property tax exemption for forests that are managed for timber production. In order to qualify for this thirty (30) year exemption, landowners must have at least 10 contiguous forested acres and must follow a forest management plan approved by the Delaware Forest Service. (Form must be completed by a Delaware Forest Service forester). If you are interested in obtaining a Commercial Forest Plantation exemption, consult the service forester map. Current law requires that the 30-year exemption be renewed upon expiration or change in ownership by sale or transfer of rights of land. However, exemptions could continue automatically based on local jurisdictional guidelines. Prior to the sale or transfer, the seller must notify the new owner of the existence of the exemption and the nature of the plan. The notice must be on the transfer form created by the Delaware Forest Service and should be submitted to the forester prior to transfer. Not submitting this form will indicate failure to notify the new owner. In the case of failure to notify, the county assessment office can restore the property to the assessment list and demand payment of back taxes by the transferor for a period of time during received exemption. The new owner of land currently under exemption for Commercial Forest Plantations must either accept or decline the agreement to maintain the exemption status using the acceptance form. For more details on the exemption and transfer processes, visit the links below or contact your local forester. The Delaware Forest Service staff works to ensure that trees harvested from our forests are fully utilized from valuable saw timber to milling by products, such as bark and sawdust. We work with the forest industry and the U.S. Forest Service to explore new opportunities for wood products, including using wood for energy production. As an example, the Delaware Forest Service is studying the potential for raising fast-growing hardwood species for energy production. 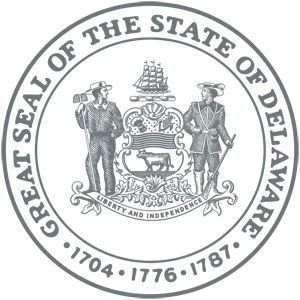 Additionally, we maintain a list of primary (sawmills, loggers, etc.) and secondary wood processors (furniture makers, pallet manufacturers, etc.) for distribution to landowners and other interested parties. 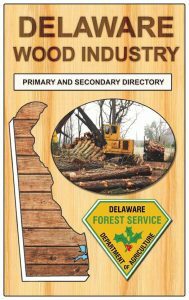 Please contact your local Delaware Forest Service office for a copy or View Wood Directory online. 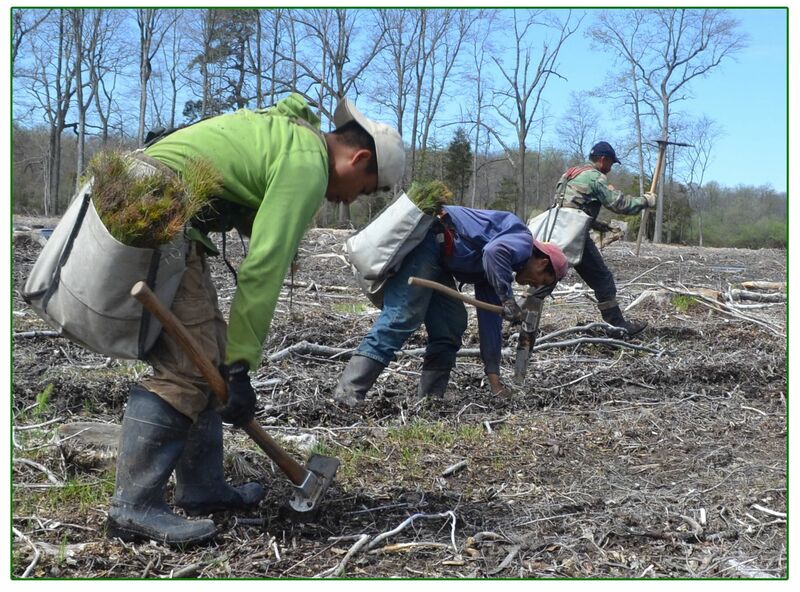 The Forest Legacy Program (FLP) is funded through the U.S. Forest Service’s State and Private Forestry (S&PF) budget. It provides funds to states to protect working forestlands that are threatened by development or other land uses, either through outright (fee simple) purchase or conservation easements. 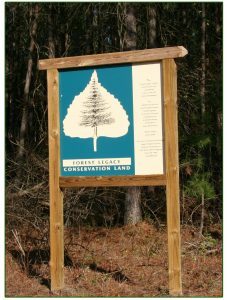 A conservation easement allows the landowner to continue to own the forest; however, the easement prohibits non-forest uses such as development. Landowners who chose to sell an easement must also have a forest stewardship plan for their property that describes the activities needed to help achieve their objectives for the property; the Delaware Forest Service can write this plan with the landowner. The intent of FLP is to ensure forestlands continue to yield the forest products we use everyday, such as timber, wildlife habitat, and water quality protection. Landowner participation in FLP is completely voluntary. States may only use Forest Legacy funds in areas designated in their Assessment of Need (AON) – the AON describes the state’s forests, the threats to the forests, and those areas within the state that contain the most important forests, which are called the Forest Legacy Areas. Once the Secretary of the United States Department of Agriculture (USDA) approves the AON, the state is eligible to receive Legacy funds to purchase land and easements within the designated Forest Legacy areas. 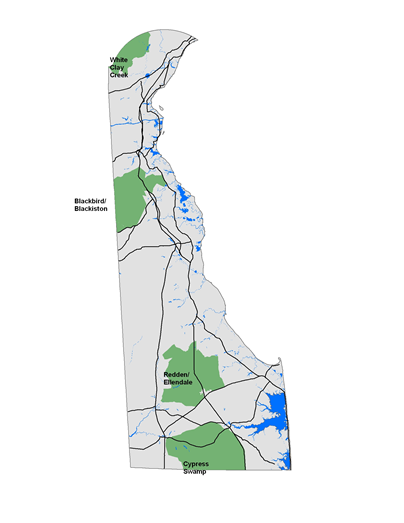 Delaware’s AON was approved in December 1998, and there are four Legacy areas in Delaware – White Clay Creek, Blackbird/Blackiston, Redden/Ellendale, and Cypress Swamp (see maps below). 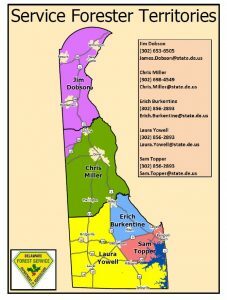 These areas contain the highest concentrations of forests in Delaware, including significant acreage already protected through public and private ownership. 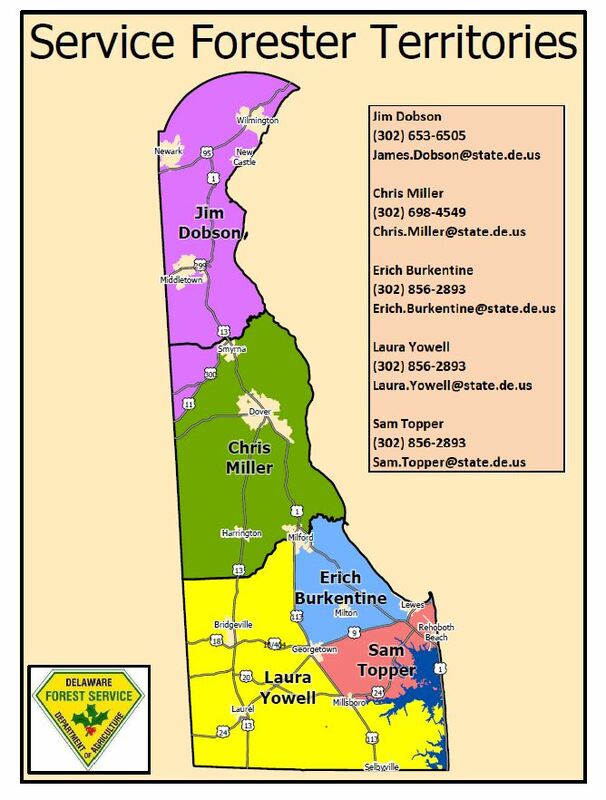 If you own forestland within any of Delaware’s Forest Legacy areas and are interested in protecting your forest, please contact the Delaware Forest Service for more information. 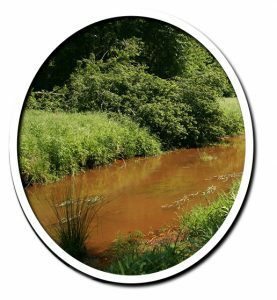 Delaware’s Forestland Preservation Program protects forestlands through perpetual conservation easements. A conservation easement is a permanent deed restriction whereby the landowner still owns the property but certain activities, such as development, are prohibited. The owner can sell the property, but all future owners must also follow the same restrictions. 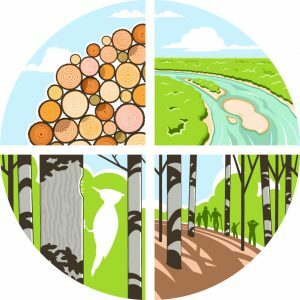 This program is designed to protect working forests; therefore, the easements allow forest management activities, including timber harvests, to continue. 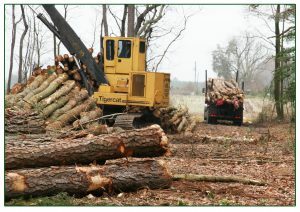 Landowners can harvest timber at any time on their property as long as they follow a forest management plan prepared by a professional forester. The program also does not affect hunting activities on the property.